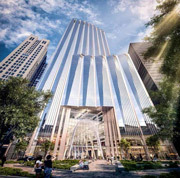 Boston Mayor Marty Walsh is pushing for the Winthrop Square Tower and is offering tighter restrictions on future tower developments as a concession. Mayor Marty Walsh’s proposal would bar future developments (except Millennium’s) from casting a shadow over the Common, Public Garden and Back Bay’s Copley Square. 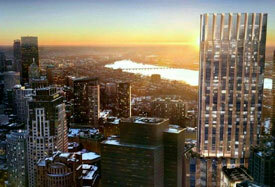 The plan would also call for new zoning in the Financial District and Downtown Crossing. The shadow change also needs state approval by Gov. Charlie Baker and the state legislature due to the changes it would bring to the Massachusetts’ 1990 shadow law. Should the shadows make way for the Winthrop Square tower, or should the law enacted in 1990 and 1992 hold the line? This will have a direct impact on the Boston Common and Boston Public Garden. Laws enacted in 1990 and 1992 dictate new buildings in that area only can cast shadows over the parks during the first hour after sunrise or before 7 a.m. — whichever is later — or the last hour before sunset. The tower is expected to cast new morning shadows for as long as 90 minutes on the Common and 29 minutes on the Public Garden. No shadow would be cast past 9:25 a.m. on the Common and 8 a.m. on the Public Garden. 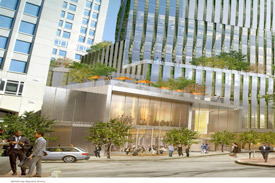 Winthrop Square site moves $50M to $150M closer to having a new owner. The devil is in the details, but the blighted garage has to go. The shuttered city garage on Federal Street was on center stage at the Great Hall at Faneuil Hall, so to speak. What is in store for our future? Six teams of developers and architects, eager in their suits, stood by posterboard presentations and 3-D models and explained the tall towers they’d very much like to build on the site of the Winthrop Square Garage in downtown Boston…Looking at the presentations, one could be forgiven for forgetting that these developers are vying to build one of the tallest buildings in Boston. Sure, everyone had a scale model of their full tower, but most focused their energies on the space where the building meets the street, and on the soaring public halls, pocket parks, and black-box theaters they’re promising to enliven it. 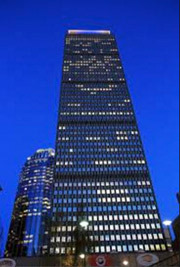 After all, that’s where most Bostonians would experience these buildings most of the time. The BRA says it wants to name a developer soon, but expect it to be months, not weeks, before that happens. The authority hasn’t yet opened financial documents attached to the proposals, which detail offers to purchase or lease the site and each team’s wherewithal to build the thing. After that’s done, BRA real estate chief Ed O’Donnell said, the authority is likely to winnow the pack down to a few finalists and invite them in for another round of interviews. While O’Donnell insists he’d like to name a developer while the real estate market is still hot, reading between the lines that sounds more like it will happen in August or September than in July. The Winthrop tower development site can take a couple of different paths, mixed use or all residential. 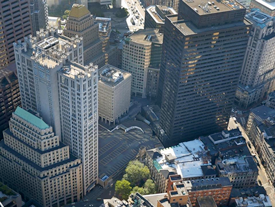 The two largest development proposals for Boston’s Winthrop Square have starkly different visions for an overlooked corner of the Financial District. 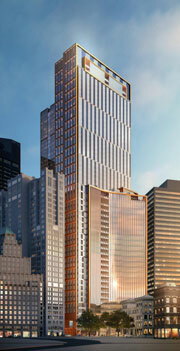 Both developers Steve Belkin and Thomas O’Brien propose 725-foot-tall towers with a substantial allotment of luxury condominiums, reflecting the current market’s hottest category. But their approaches diverge in satisfying the Boston Redevelopment Authority’s requirements for an innovative economic development strategy and new downtown public spaces. Six developers submitted mixed-use proposals for the 1-acre municipal garage site at 115 Federal St. 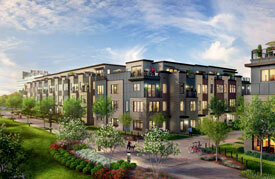 The BRA will hear presentations from them in coming weeks with a goal of designating a developer by the end of June. 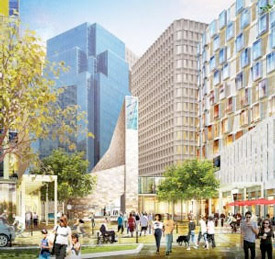 That would set the stage for a review under the BRA’s Article 80 process for large developments later this year. 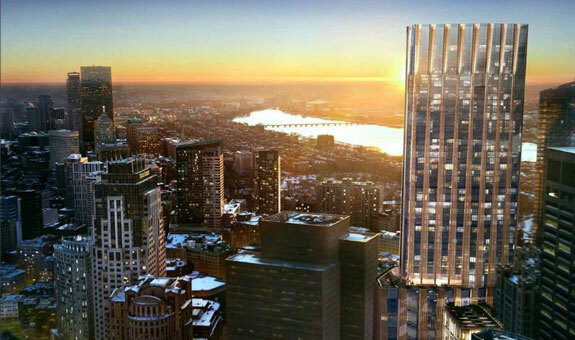 The Boston Skyline is expect to change by 2020 and here’s what it might look like. The interesting part of this is 3 of the top 10 are residential, where is years past the top 10 have always been office.